American Dairy Queen Corporation (ADQ) is starting 2019 off with a bold plan to expand its DQ Grill & Chill restaurants by targeting 10 major metro markets and by launching a new franchisee incentive program. Dairy Queen is a major player with more than 7,000 locations and this new strategic plan aims to add more than 70 new restaurants this year in markets including: Sacramento, California; Baltimore; Orlando, Florida; Milwaukee; Tulsa, Oklahoma; Memphis, Tennessee; Albany, New York; Fresno, California; Charlotte, North Carolina; and New Orleans. The brand also says its planning to add units internationally. "For decades, the Dairy Queen brand's staying power has resonated with talented franchise ownership groups. It's an iconic brand that evokes tradition and comfort for people worldwide," said Julie Davis, ADQ franchise development director. "By highlighting our brand's sustainability and tremendous room for growth, there are increasing opportunities for strong multi-unit operators who want to diversify their portfolios and be a part of this development phase." Dairy Queen's four incentive programs are meant to attract multi-unit operators eager to grow and move through the development process quickly. Timeline Incentives - ADQ will give franchisees a fixed incentive payment of $30,000 if they open a new DQ Grill & Chill restaurant within 32 weeks of signing their franchise agreement; ADQ will give franchisees who open within 40 weeks a fixed incentive payment of $15,000. Multi-Unit Opening Incentives - Franchisees opening multiple DQ Grill & Chill restaurants within the same calendar year are eligible for an additional $10,000 per opening. 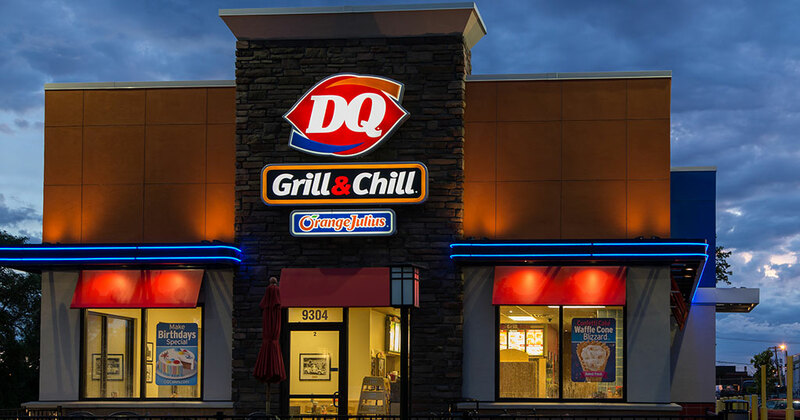 Year on Year Incentives - Franchisees opening new DQ Grill & Chill restaurants in consecutive years are eligible for an additional $10,000 incentive on their first opening in the second calendar year. Re-Purpose Incentives - Franchisees that develop and open a DQ Grill & Chill restaurant by expediting the conversion of a closed, former DQ® or other QSR restaurant facility will be eligible for a fixed incentive payment of $10,000. "These incentives are designed to attract elite franchisees with a fast-track mindset," added Davis. "We're a determined, innovative team and we have the processes and systems in place to support this development vision for years to come."